Cedar Koons, MSW, LISW, is the co-founder and team lead of Santa Fe DBT, LLC, an outpatient private practice group that provides comprehensive Dialectical Behavior Therapy (DBT) and other evidence-based cognitive-behavioral treatment to adults and adolescents in Santa Fe, New Mexico. A senior trainer for Behavioral Tech of Seattle, she has conducted DBT trainings, intensives and consultations all over the United States and in Australia and Japan. While in private practice, Ms. Koons has also developed an adaptation of DBT for the vocational rehabilitation of persons with severe personality disorder and conducted a pilot study of the treatment. A meditation student of Pat Hawk, Roshi, and Sensei Marsha Linehan, Ms. Koons has also taught mindfulness and assisted with many mindfulness retreats. Prior to entering private practice, she was director of the Dialectical Behavior Therapy program at the Women Veterans Comprehensive Health Center at the Durham VA Medical Center. In that capacity, Ms. Koons conducted a randomized, controlled study of DBT as compared to usual treatment for women veterans with borderline personality disorder and also started at DBT elective for psychiatry residents at Duke University Medical Center. 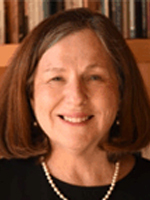 Ms. Koons was the first president of the Marie Institute, a nonprofit organization dedicated to increasing access to training in treatments of demonstrated efficacy for clinicians treating severely personality disordered persons. She has published research, articles, poetry and a blog on mindfulness.